Actually this was the first time I ever had English cucumber and I love it. English cucumber somehow taste “milder” compare to the regular cucumber. 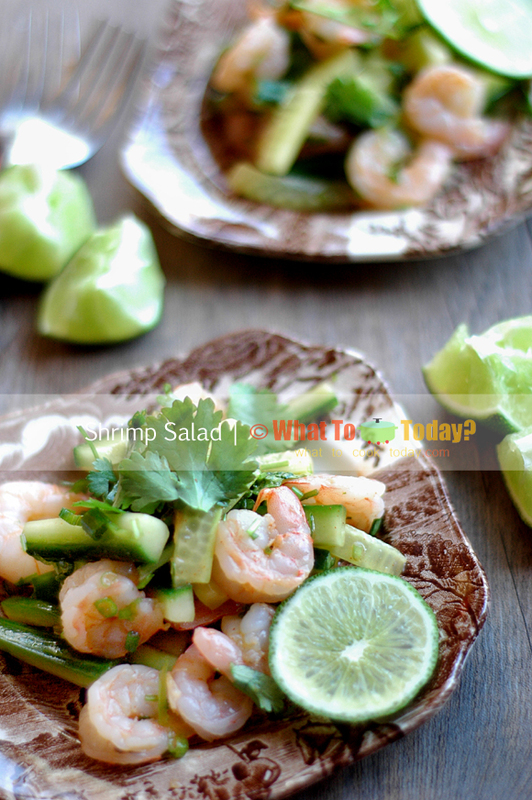 To be using English cucumber in the shrimp salad is simply delicious. 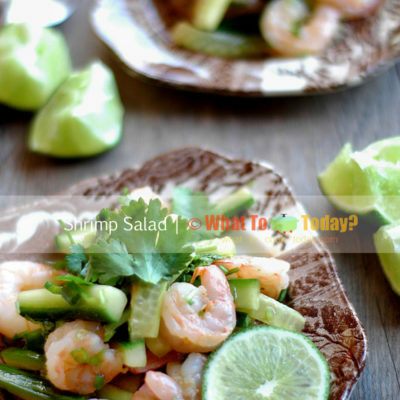 Since the shrimp is the star of the dish, make sure you use an “uncooked” shrimp to prepare the salad. If I haven’t mentioned this before, well, let me say it now that I hate store-bought cooked shrimp. They are tasteless. I’m serious. You can taste a HUGE difference between the raw shrimp that you cook yourself and the one you bought from the store. They are simply not the same. So, do yourself a little favor and get the uncooked shrimp. 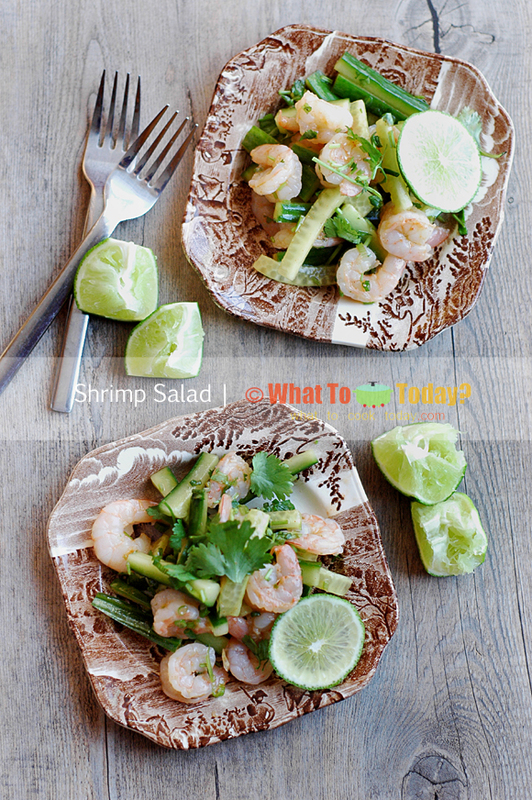 It’s not that hard to cook the shrimp and it doesn’t take a long time to cook them too, in fact, you don’t want to cook them for too long or they turn rubbery and tough.